I haven't traveled internationally since I was a kid but that's about to change. 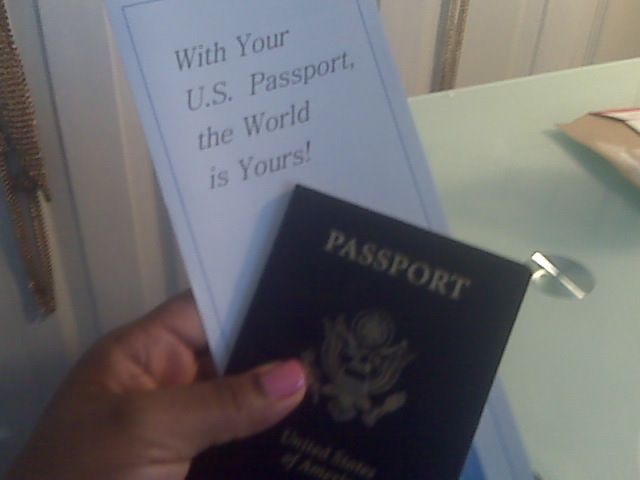 This month my goal was to get my new passport and a few days ago it finally arrived! Just as the brochure says, "With your U.S. Passport, the world is yours." My husband and I intend to make 2011 our year of travel. I also have a few great ideas I'm in the process of working on so I'll be thrilled when it's time to share them with my blog family. In the meantime, operation "get some stamps on this passport" is in full effect! What kind of mileage have you put on your passport?